On this page you will find an ever expanding range of free relaxation scripts to download. You can also find guided meditation scripts here. Do you have a script for relaxation or a meditation script that you’d like to share with the world? The purpose of this area of the website is for meditation teachers, metaphysicians, therapists and personal development consultants of all types to share their creativity and handiwork with others. As this is a charitable initiative, only free scripts will be published here. The idea is that you share your work with other healers and health care professionals so that they may better serve the needs of their own clients and students. New submissions are always welcome and appreciated, and you will be credited for your contribution. If you would like to share your meditation script, hypnosis induction script or any type of script for relaxation please click here. New submissions are always welcome and appreciated, and you will be credited for your contribution. All scripts remain the copyright of their respective authors. This brief script is a perfect example of a general body-mind relaxation. Perfect for preparing for meditation, or just for winding down. This free script will help you to induce a state of total mind-body relaxation. It's a perfect prelude to a guided meditation and takes about 7-9 minutes to read aloud. This free progressive muscle relaxation script was written to help you achieve deep physical relaxation from your head to your toes. It's a wonderful script for stress relief and takes a little over 20 minutes to read aloud. This script is for progressive muscle relaxation and it has been condensed so that you can complete the entire relaxation in just 8 minutes. For more great scripts, you must check out Inner Health Studio. Inner Health Studio provides information on stress, anxiety, and relaxation. 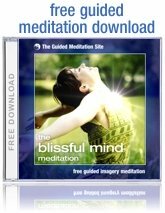 Access free relaxation scripts, download relaxation audio and videos, and explore self-help techniques.